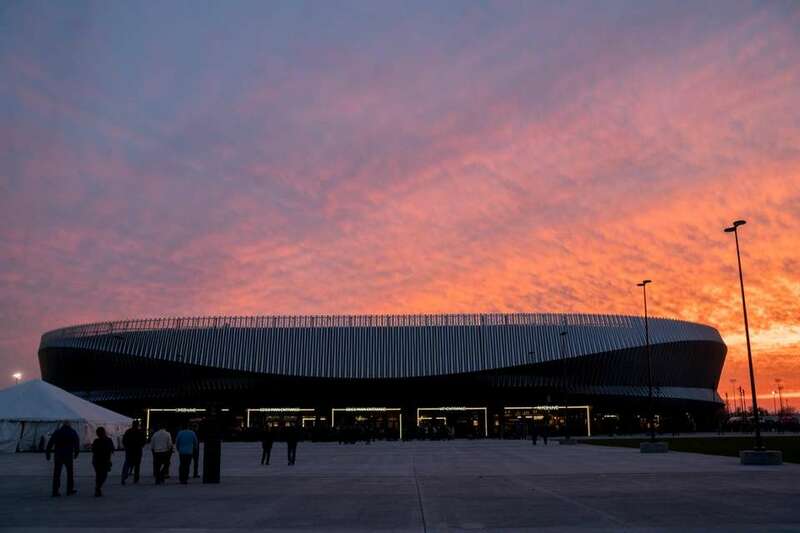 The renovated Nassau Coliseum, renamed NYCB Live’s Nassau Veterans Memorial Coliseum, reopened Wednesday night, April 5, 2017, after a $165 million remodeling with Billy Joel's 33rd concert in the arena. 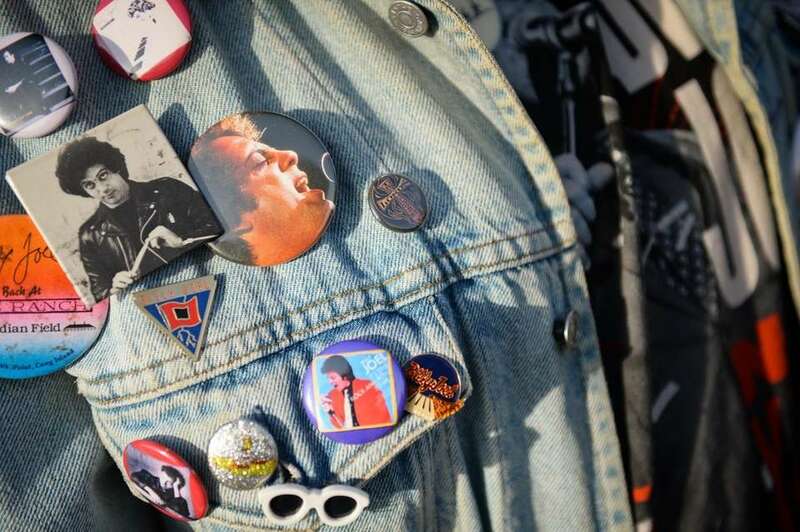 Follow our Billy Joel coverage here. 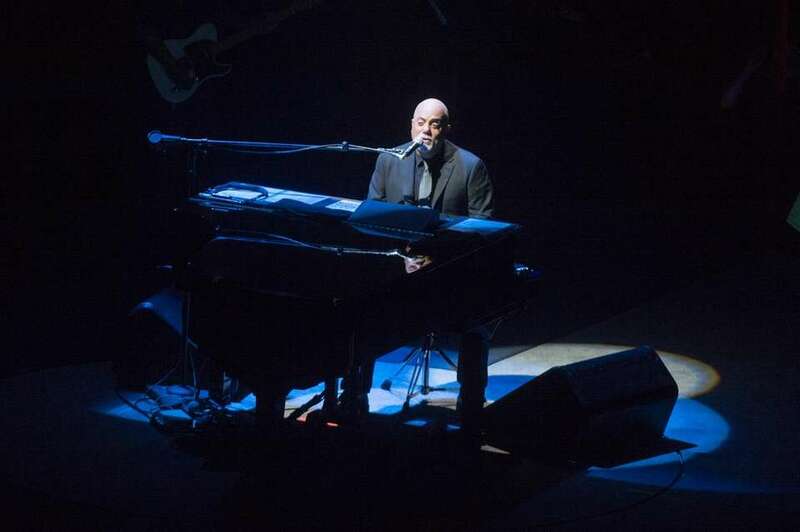 Billy Joel performs at NYCB Live's Nassau Veterans Memorial Coliseum on the arena's opening night, Wednesday, April 5, 2017. 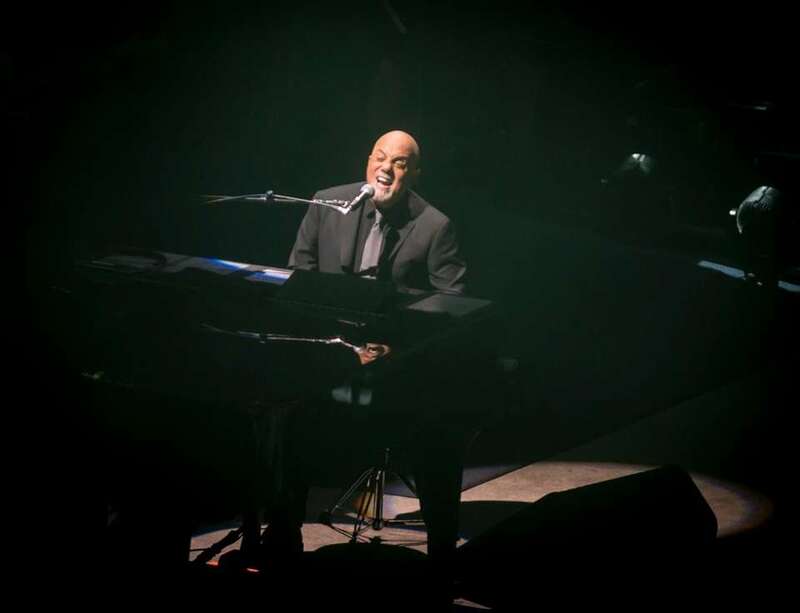 Billy Joel performs on the opening night for NYCB Live's Nassau Veterans Memorial Coliseum on April 5, 2017. 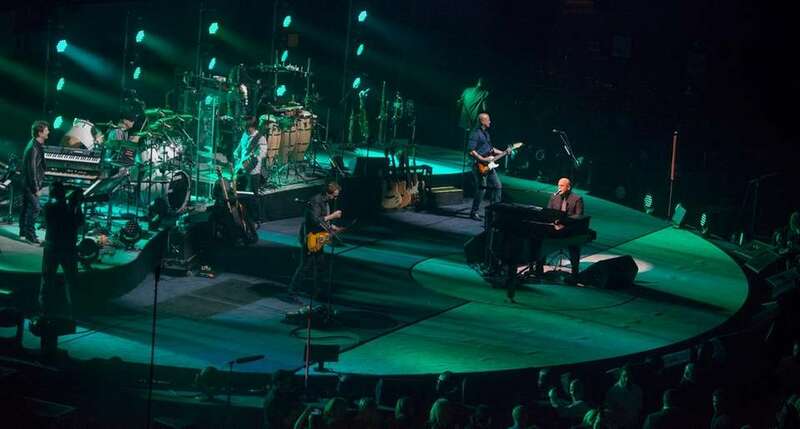 Billy Joel and his band perform on the opening night for NYCB Live's Nassau Veterans Memorial Coliseum on April 5, 2017. 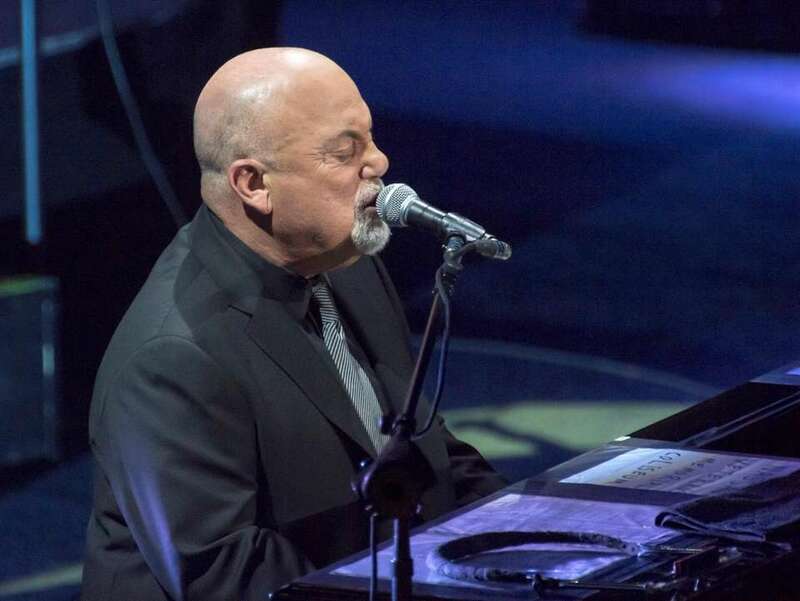 Billy Joel performs at opening night of NYCB Live's Nassau Veterans Memorial Coliseum on April 5, 2017. 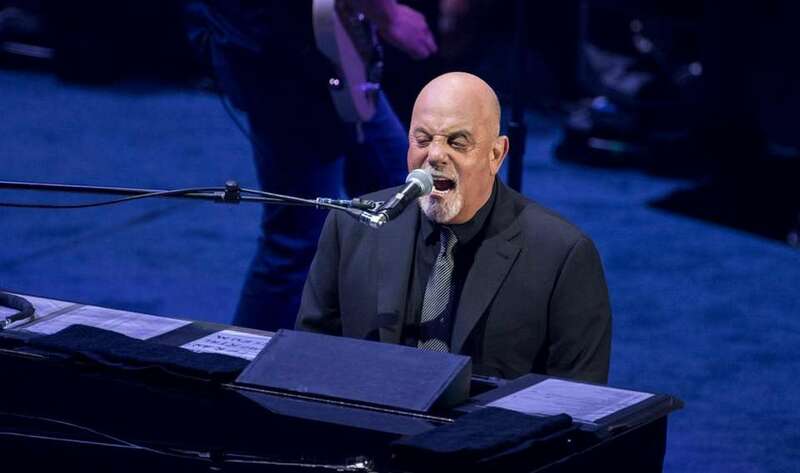 Billy Joel performs at opening night of the NYCB Live's Nassau Veterans Memorial Coliseum on April 5, 2017. 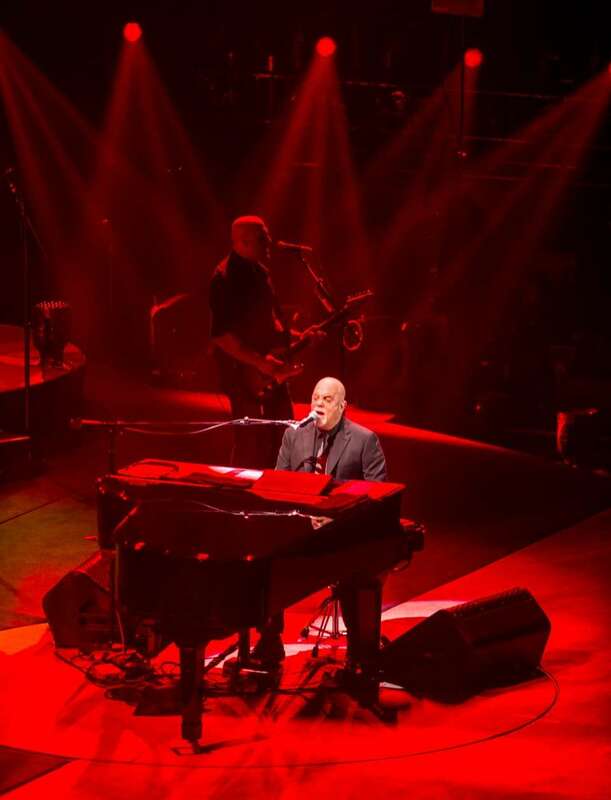 Billy Joel performs at NYCB Live's Nassau Veterans Memorial Coliseum on April 5, 2017. 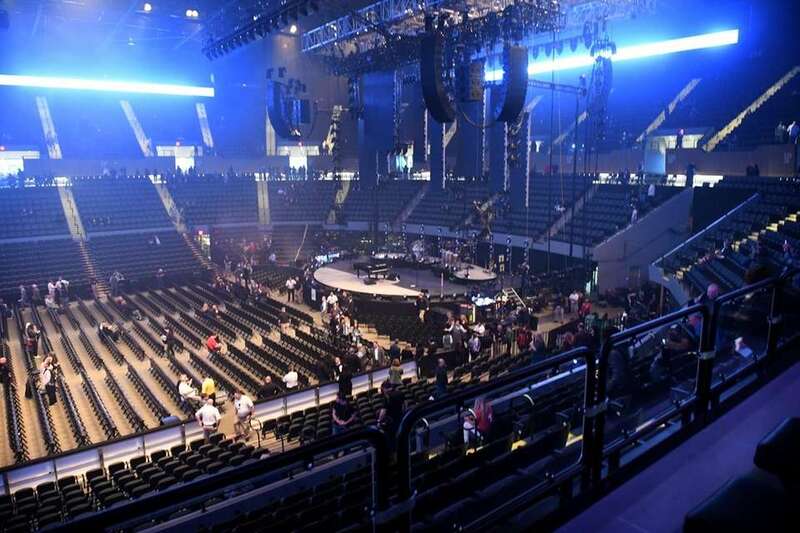 People file in for the Billy Joel concert at the renovated Nassau Veterans Memorial Coliseum in Uniondale on April 5, 2017. 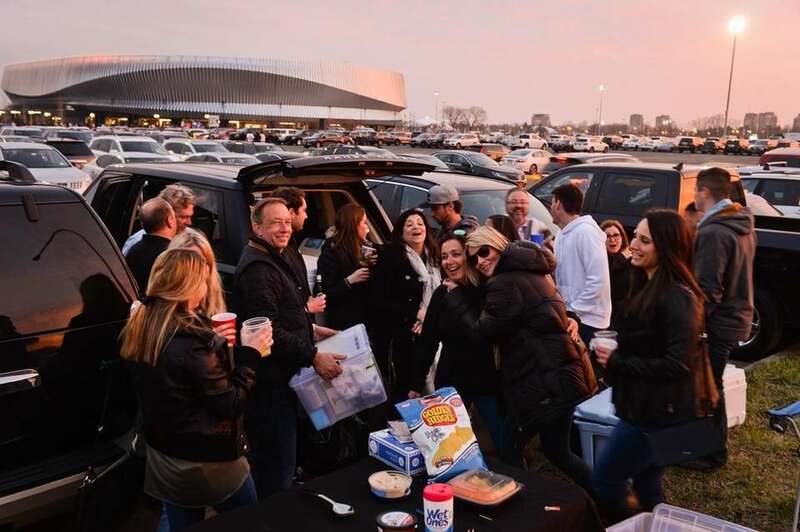 Friends from Point Lookout, Merrick and Lindenhurst tailgate in the parking lot before Billy Joel performs at the renovated Nassau Coliseum in Uniondale on Wednesday, April 5, 2017. 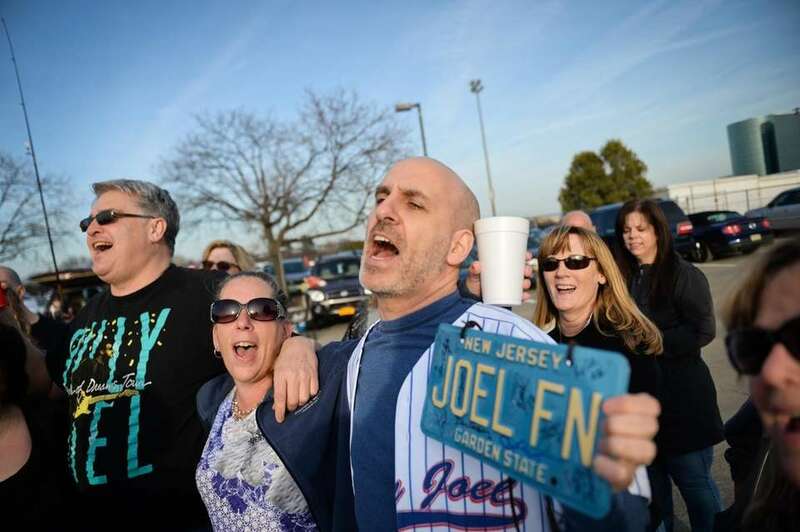 Fans file in for Billy Joel's concert at the renovated Nassau Coliseum in Uniondale on Wednesday, April 5, 2017. 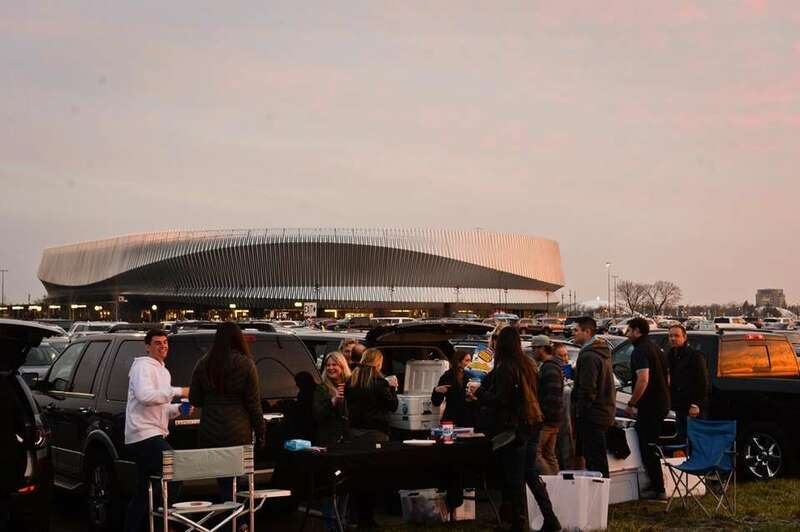 Friends from Point Lookout, Merrick, and Lindenhurst tailgate in the parking lot before Billy Joel performs at the renovated Nassau Coliseum in Uniondale on Wednesday, April 5, 2017. 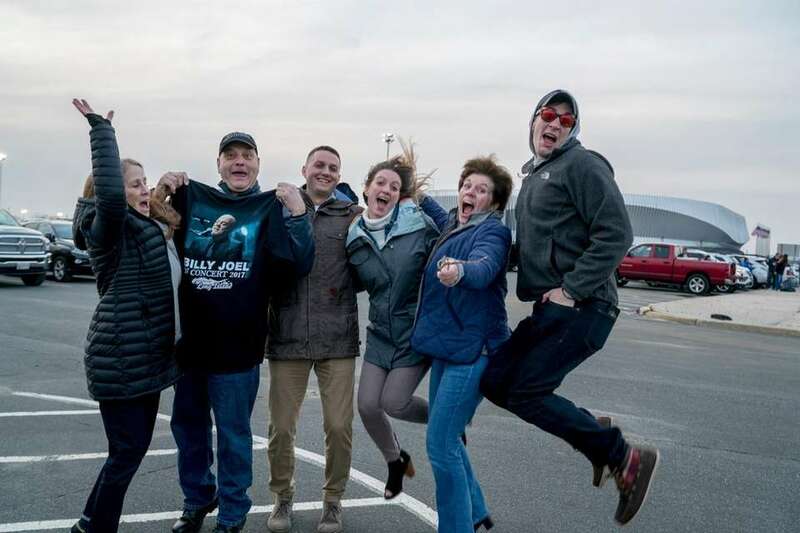 Joyce Sundberg, left, Eddie Sundberg, Dale Johnson, Jackie Johnson, Christine Trentowski and Danny Trentowski in the parking lot before Billy Joel's concert at the renovated Nassau Coliseum in Uniondale on April 5, 2017. 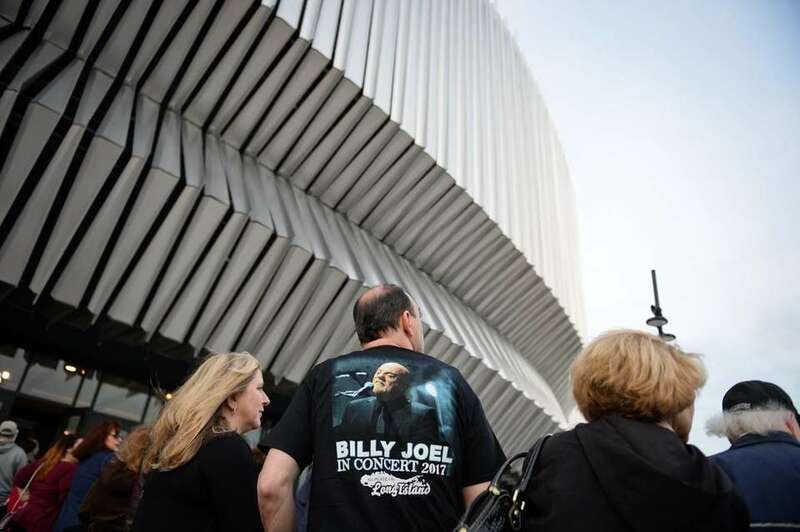 Concertgoers file in ahead of Billy Joel's concert at the renovated Nassau Coliseum in Uniondale on April 5, 2017. 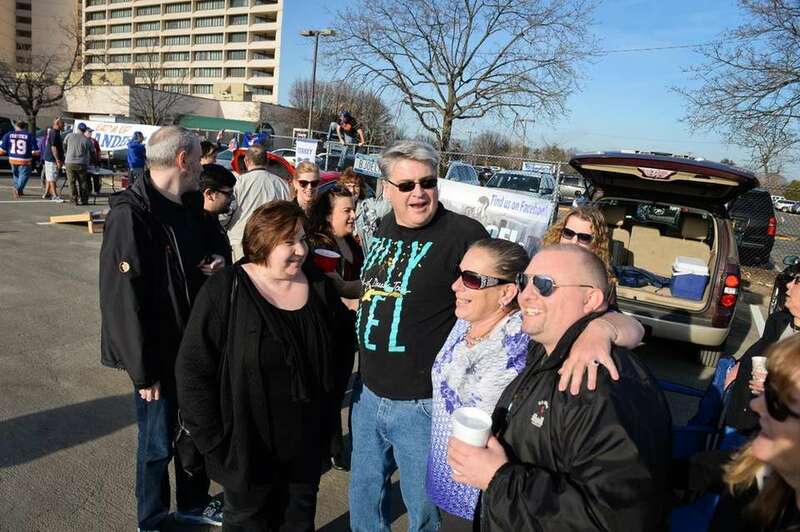 Christine Trentowski, left, Joyce Sundberg, Eddie Sundberg, Dale Johnson, Jackie Johnson, foreground, and her brother Danny Trentowski in the parking lot ahead of Billy Joel's concert at the renovated Nassau Coliseum in Uniondale on April 5, 2017. 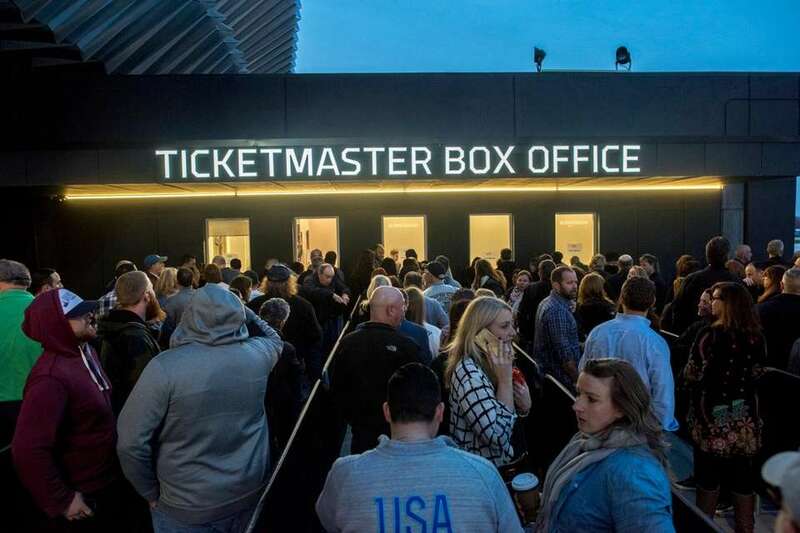 Concertgoers flood the box office for last minute tickets ahead of Billy Joel's concert at the renovated Nassau Coliseum in Uniondale on April 5, 2017. 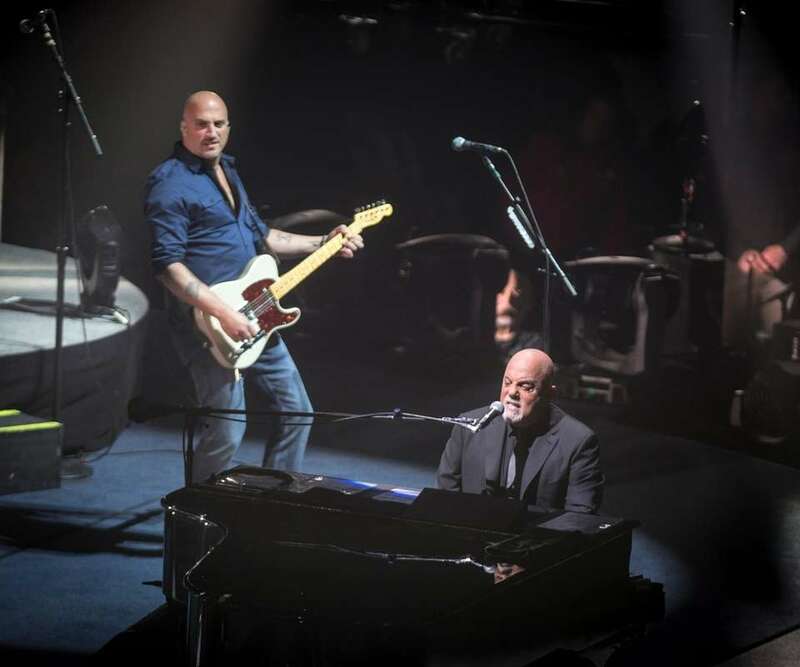 The stage is set for Billy Joel to perform at the NYCB Live's Nassau Veterans Memorial Coliseum on April 5, 2017, for the first show after the arena's renovation. An aerial view of the renovated Nassau Coliseum on April 5, 2017. 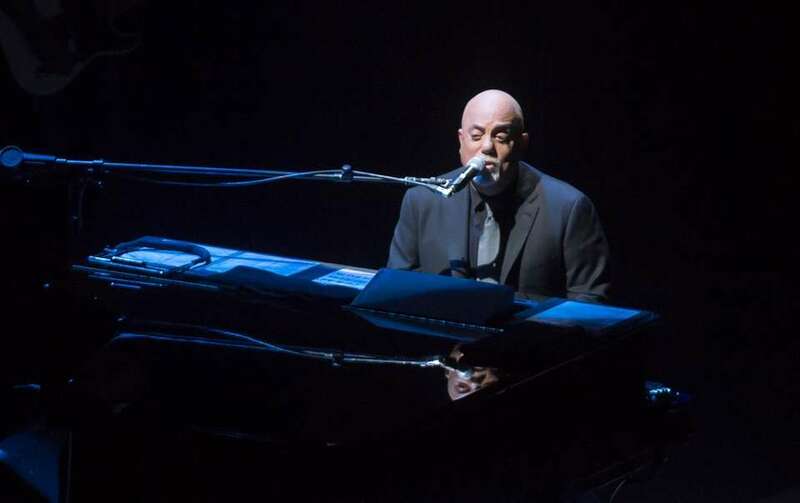 Hicksville native Billy Joel is the first performer in the NYCB Live's Nassau Veterans Memorial Coliseum. Christina Pirro was going to see Billy Joel at the renovated Nassau Coliseum when Michael La Rocca of Levittown surprised her with a marriage proposal before the show on April 5, 2017. An aerial view of the renovated Nassau Coliseum on April 5, 2017. 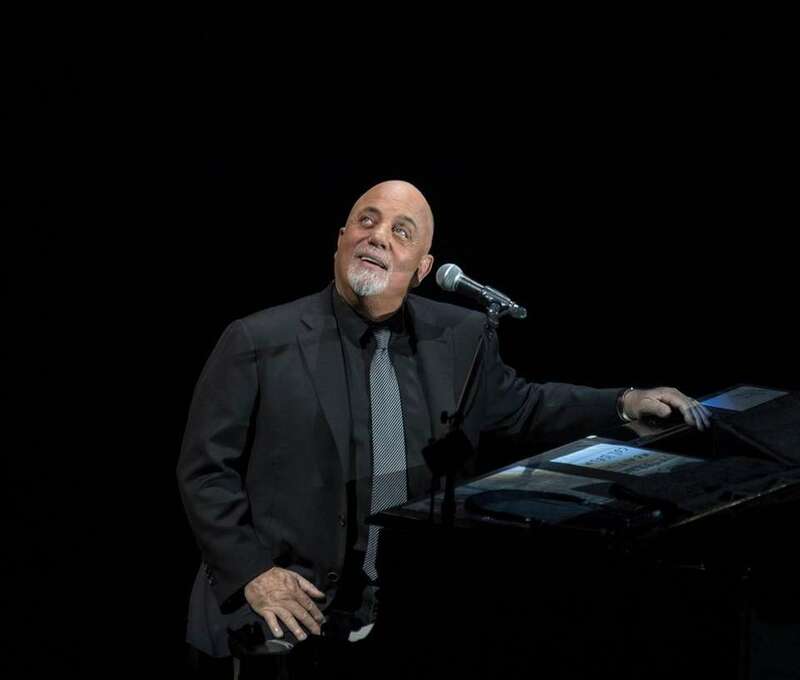 Hicksville native Billy Joel is the first performer in the new NYCB Live's Nassau Veterans Memorial Coliseum. 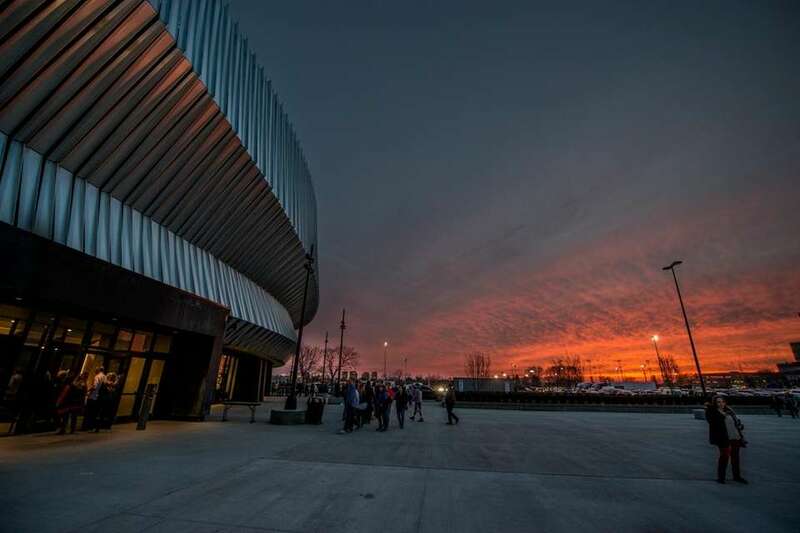 Fans line up to see Billy Joel perform at the renovated Nassau Coliseum in Uniondale on Wednesday, April 5, 2017. An aerial view of Billy Joel fans lining up to enter the renovated Nassau Coliseum on Wednesday, April 5, 2017. An aerial view of Billy Joel fans lining up to enter the renovated Nassau Coliseum on April 5, 2017. 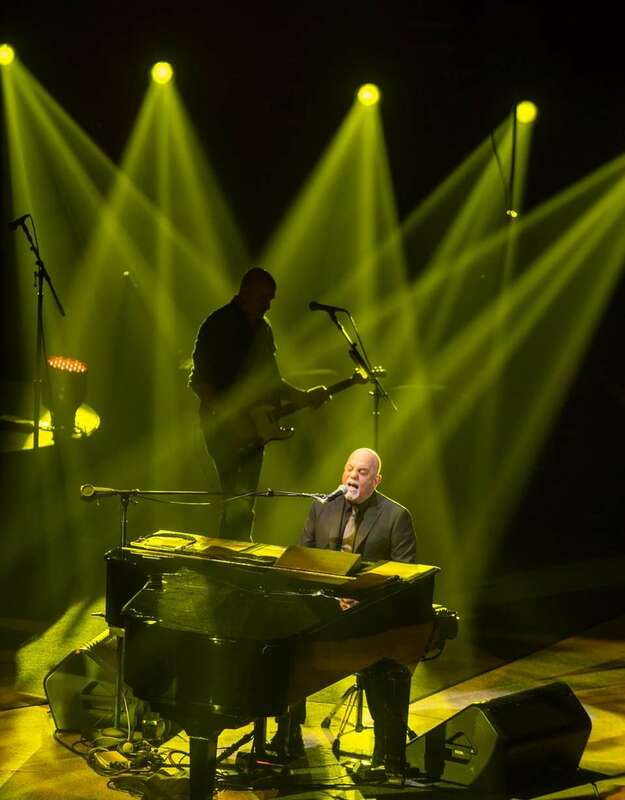 Hicksville native Billy Joel is the first performer in the revamped venue, now known as NYCB Live's Nassau Veterans Memorial Coliseum. 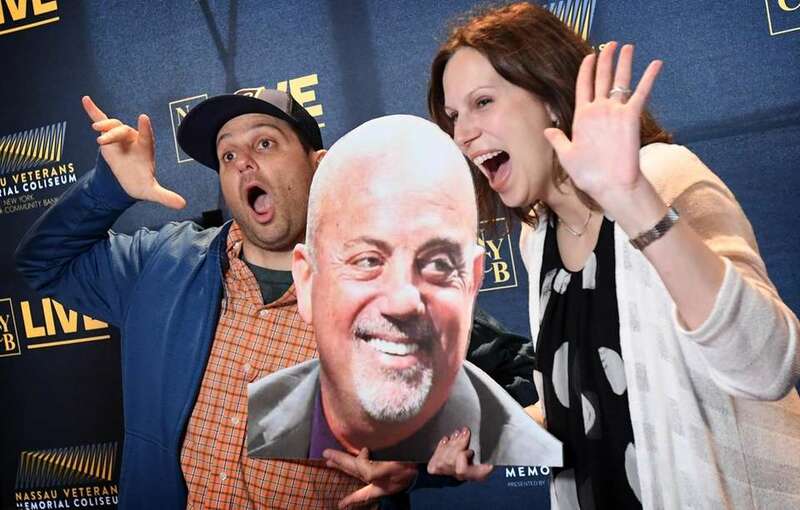 Adam and Stacey Greenberg of East Meadow ham it up for the camera while attending the Billy Joel concert at NYCB Live's Nassau Veterans Memorial Coliseum on April 5, 2017. 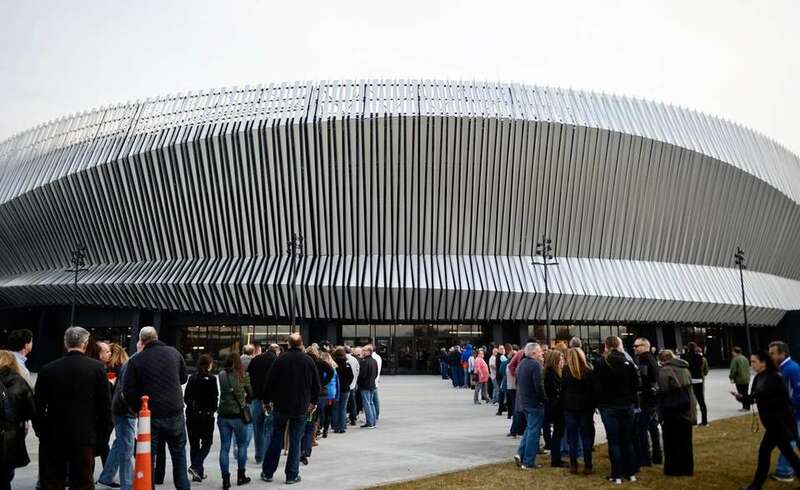 An aerial view of Billy Joel fans lining up to enter the renovated Nassau Coliseum, now NYCB Live's Nassau Veterans Memorial Coliseum, on Wednesday, April 5, 2017. 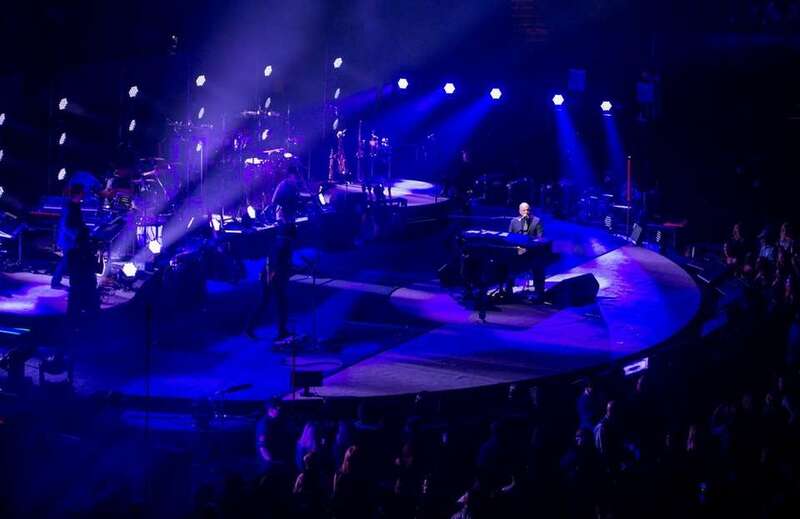 Hicksville native Billy Joel is the first performer at the renovated Coliseum. 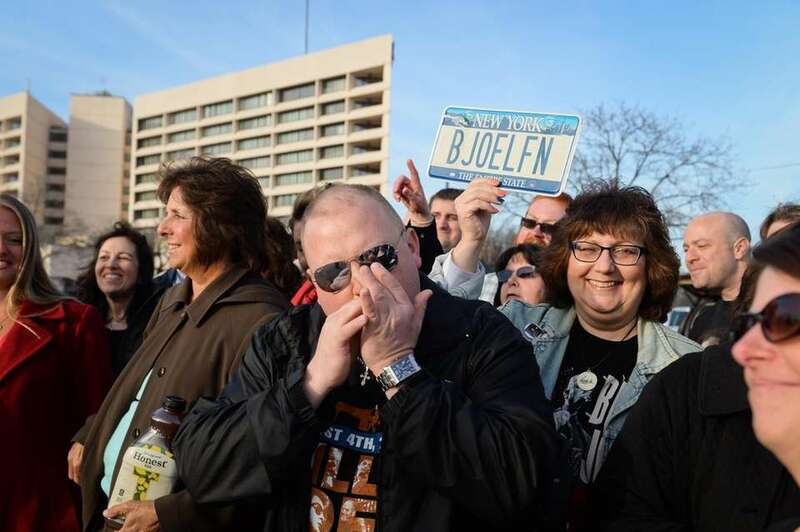 Eric Fellen, of Scotch Plains, N.J., sings "Piano Man" with friends as fans tailgate at the renovated Nassau Coliseum in Uniondale, Wednesday, April 5, 2017. Steve Fileti, of Bellmore, plays the harmonica while fans sing "Piano Man" outside the renovated Nassau Coliseum in Uniondale, Wednesday, April 5, 2017. 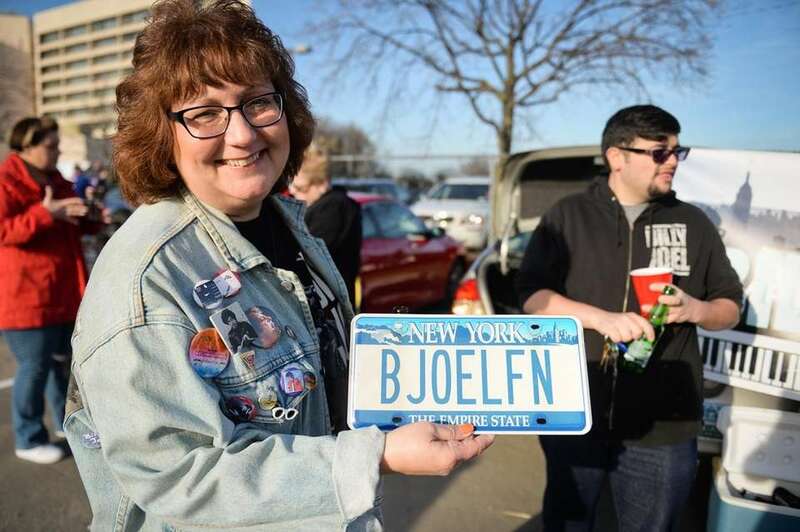 Maureen Smith, of Lynbrook, holds her Billy Joel license plate as fans tailgate at the renovated Nassau Coliseum in Uniondale, Wednesday, April 5, 2017. Maureen Smith, of Lynbrook, dons a signed Billy Joel jacket as fans tailgate at the renovated Nassau Coliseum in Uniondale, Wednesday, April 5, 2017. 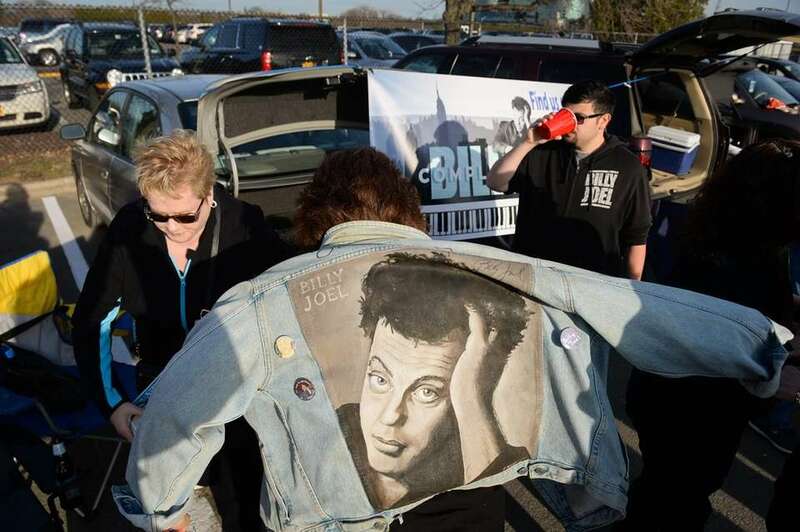 Maureen Smith, of Lynbrook, puts on a signed Billy Joel jacket as fans tailgate at the renovated Nassau Coliseum in Uniondale, Wednesday, April 5, 2017. 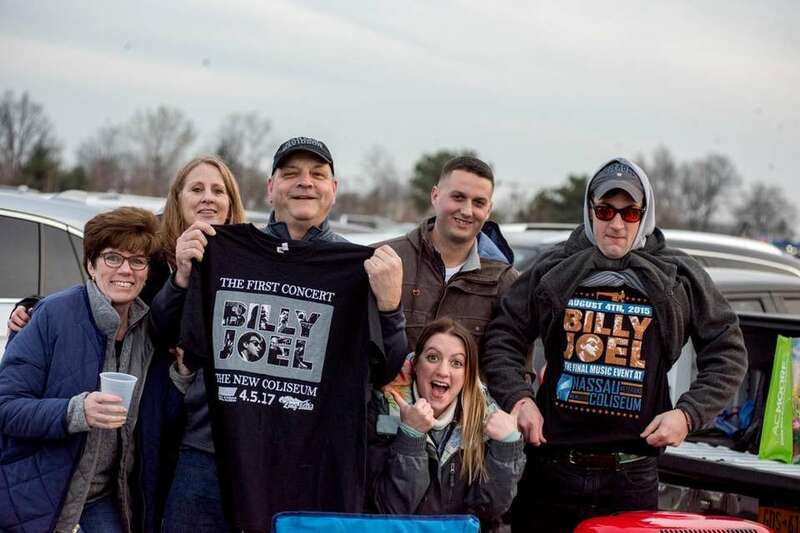 Members of the Facebook group "Billy Joel: Completely Retold" tailgate as Billy Joel performs at the renovated Nassau Coliseum in Uniondale, Wednesday, April 5, 2017. 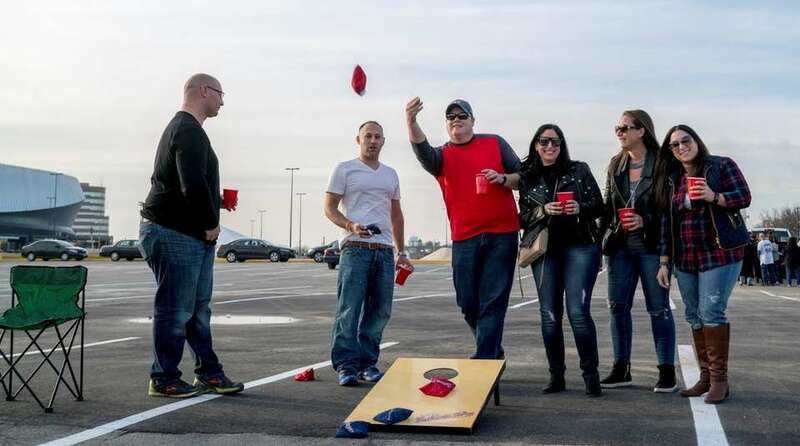 From left, Craig Hand, Sal Mezrahi, Mike Corkery, Dana Hand, Courtney Mezrahi and Mara Corkery, all of Merrick, tailgate before Billy Joel's return to the renovated Nassau Coliseum in Uniondale, April 5, 2017. 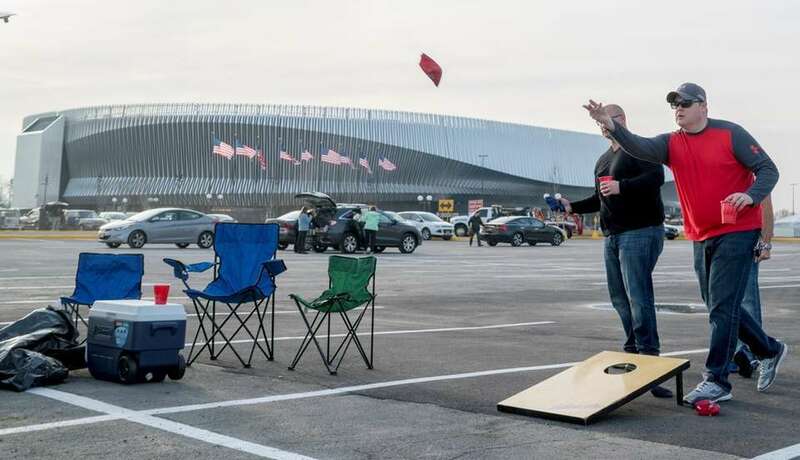 Mike Corkery, of Merrick, tosses a beanbag during a tailgate in the parking lot before Billy Joel's concert at the renovated Nassau Coliseum in Uniondale, April 5, 2017. 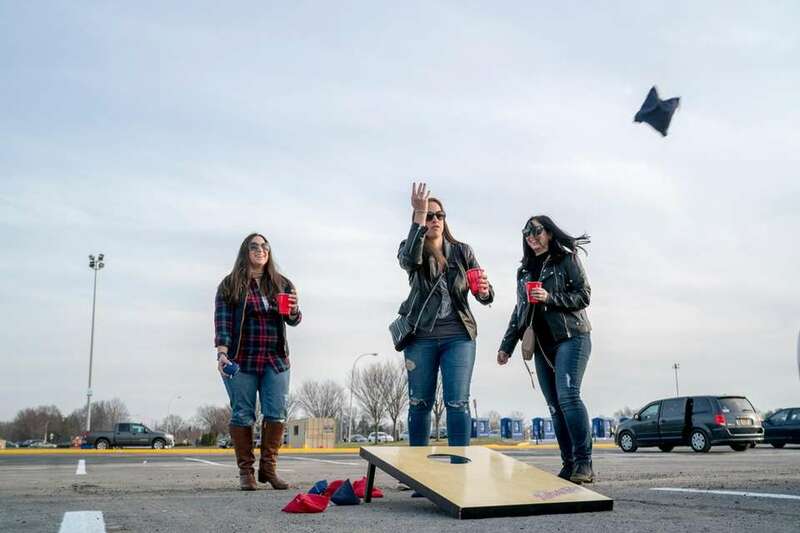 Mara Corkery, Courtney Mezrahi and Dana Hand, all of Merrick, tailgate in the parking lot before Billy Joel's concert at the renovated Nassau Coliseum in Uniondale, April 5, 2017.
Review: Joel brings LI stars to powerful Coliseum opener Billy Joel ushered in the new, aluminum-finned era of the renovated Nassau Coliseum Wednesday night with a powerful set filled with Long Island references. Live with Billy Joel at the Nassau ColiseumLive with Billy Joel at the opening of the Nassau Coliseum Joel on Coliseum: ‘Never thought I’d be doing this one’ The remodeled Nassau Coliseum reopened Wednesday night with a Billy Joel concert after a $165 million face-lift that modernized the arena with state-of-the-art upgrades. 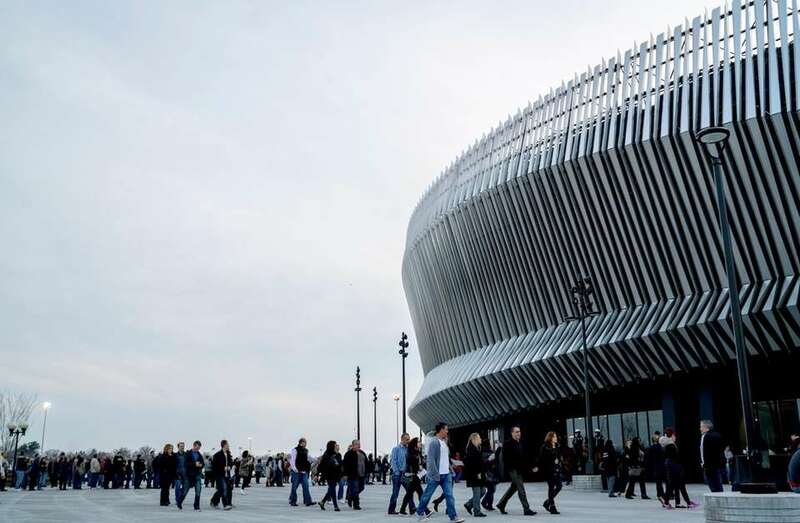 Watch: Joel recounts Coliseum stories ahead of showBilly Joel once again reigns over NYCB Live's Nassau Veterans Memorial Coliseum after a banner bearing his name was raised to the rafters on Monday night, April 3, 2017. The new banner bears the number 33 -- the number of concerts Joel will have performed in the arena following his show Wednesday night, the first since the arena's $165 million renovation.